Phineas Gage was a 25 years old construction foreman who lived in Vermont in the 1860s. While working on a railroad bed, he packed powdered explosives into a hole in the ground, using tamping iron. The powder heated and blew in his face. The tamping iron rebounded and pierced the top of his skull, ravaging the frontal lobes. He became "fitful, irreverent, indulging at times in the grossest profanity (which was not previously his customs), manifesting but little deference to his fellows, impatient of restraint or advice when it conflicts with his desires, at times pertinaciously obstinate yet capricious and vacillating, devising many plans for future operation which are no sooner arranged than they are abandoned in turn for others appearing more feasible ... His mind was radically changed, so that his friends and acquaintances said he was no longer Gage." In other words, his brain injury turned him into a psychopathic narcissist. Similarly startling transformation have been recorded among soldiers with penetrating head injuries suffered in World War I. Orbitomedial wounds made people "pseudopsychopathic": grandiose, euphoric, disinhibited, and puerile. When the dorsolateral convexities were damaged, those affected became lethargic and apathetic ("pseudodepressed"). As Geschwind noted, many had both syndromes. The DSM is clear: the brain-injured may acquire traits and behaviors typical of certain personality disorders but head trauma never results in a full-fledged personality disorder. "It is conceivable, though, that a third, unrelated problem causes chemical imbalances in the brain, metabolic diseases such as diabetes, pathological narcissism, and other mental health syndromes. There may be a common cause, a hidden common denominator (perhaps a group of genes). 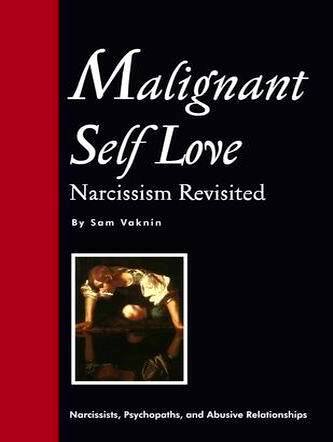 Certain medical conditions can activate the narcissistic defense mechanism. Chronic ailments are likely to lead to the emergence of narcissistic traits or a narcissistic personality style. Traumas (such as brain injuries) have been known to induce states of mind akin to full-blown personality disorders. Such "narcissism", though, is reversible and tends to be ameliorated or disappear altogether when the underlying medical problem does. Other disorders, like the Bipolar Disorder (mania-depression) are characterised by mood swings that are not brought about by external events (endogenous, not exogenous). But the narcissist's mood swings are strictly the results of external events (as he perceives and interprets them, of course). But phenomena, which are often associated with NPD (Narcissistic Personality Disorder), such as depression or OCD (obsessive-compulsive disorder), are treated with medication. Rumour has it that SSRI's (such as Fluoxetine, known as Prozac) might have adverse effects if the primary disorder is NPD. They sometimes lead to the Serotonin syndrome, which includes agitation and exacerbates the rage attacks typical of a narcissist. The use of SSRI's is associated at times with delirium and the emergence of a manic phase and even with psychotic microepisodes. Not enough is known about the biochemistry of NPD. There seems to be some vague link to Serotonin but no one knows for sure. There isn't a reliable non-intrusive method to measure brain and central nervous system Serotonin levels anyhow, so it is mostly guesswork at this stage." Read more about Narcissism and the Bipolar Disorder - click HERE! Read more about Narcissism and Asperger's Disorder - click HERE!